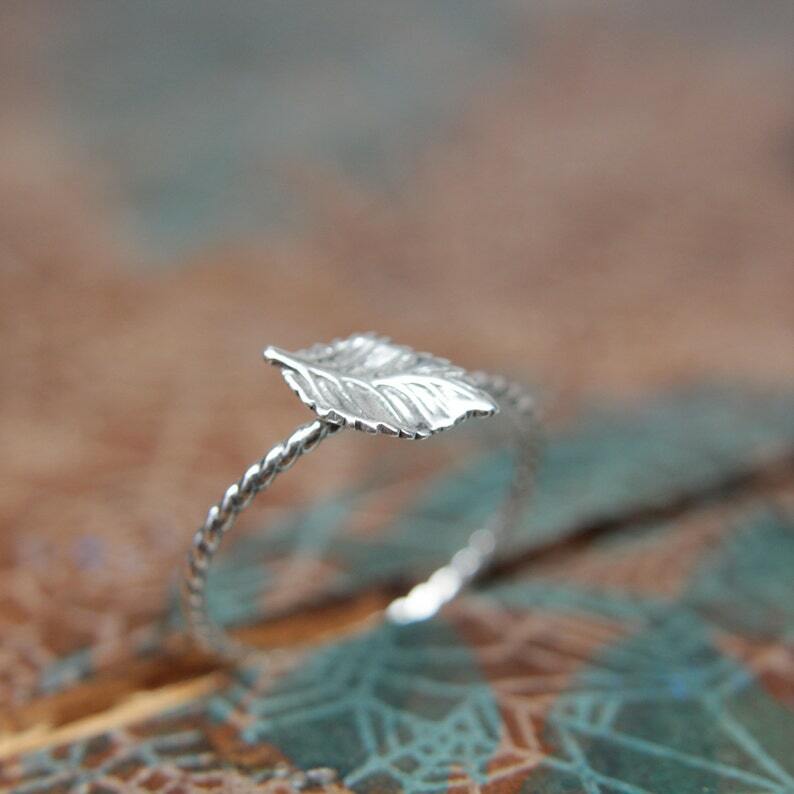 This listing is for a sterling silver rose leaf stacking ring. Please note that I have switched to a darker oxidation method so your ring will look antiqued and the recesses will be darker to highlight the detail and texture. If you prefer it exactly like the photo or without oxidation at all please let me know in notes to seller. Make a stack! Add a custom stamped band and two gemstone stacking rings like a ruby and peridot. Delicate Sterling Silver Flower Bud Ring. Tiny sterling silver floral stacking ring. Botanical theme springtime jewelry. Very nice, very delicate rose leaf ring! Very quality item! Very happy with the purchase! Would order again! Great quality and great communication! Delicate Sterling Silver Floral Gemstone Ring. Pretty sterling silver flower stacking ring with a gemstone center. Springtime bouquet ring.